Some nice empty space at the Bristol end then. Good problem to have for a change! I had always believed that our ground capacity was just over 8.000. Is it really true that we are only now allowed to admit about 3,500 now due to recent safety laws, and if so, will the 'new build' at TP enable us to admit more into the ground in the future? What is the current crowd capacity at Twerton Park? This new limit could cause problems if City get into the play off finals. On the last occasion, home to Woking, there were 4865 in attendance. With the redevelopment it is prudent to not spend a lot of money on bringing the ground up to a standard to allow licensing for 8000+ but what would have happened if City had drawn a big club in the FA Cup or FA Trophy? Did City lose in the cups to avoid these problems? From the Woking game, whilst it was utter bedlam, I don't recall thinking "looks too over-crowded here". But that was nearly a decade ago, the ground isn't getting younger and I trust that the capacity capped at 3,500ish is justified. I'm probably one of few in not looking forward to this game at all. Whilst it'll be great to see the place packed, I'm not keen on seeing dozens of stewards/police roaming about because some people can't behave for a couple of hours watching a non-league game. That's not what I go to football for, and it's not exactly like we're playing Millwall or anything. It wouldn't surprise me if loads more Torquay fans turn up and get in the home end - how can you prove who supports who? If it happens, I hope both parties act sensibly. Woking was great - we won and, to my knowledge, there wasn't any trouble. It was chaotic in the press box, as it'll be on Saturday, but worth it in the end. I'd love to see us attract crowds of say 1-2,000 regularly, but it's certain to top that this weekend and I'm not even sure how much of a money spinner it is with all the extra costs. It's just a league game, whatever the result it doesn't decide anything. I don't doubt the club are working exceptionally hard now and will on the day, but bet they can't wait for it to be over. Our next home game after Torquay is against Hampton I think. Crowd will be about a quarter of Saturday, normality resumed. The Gulls still have to go to Chippenham I believe, be interesting to hear how that pans out. I'm not aware of anyone at the club not looking forward to Saturday. Apart from it being a chance for the team to perform in front of a large crowd and the much needed revenue that will bring in, it's an opportunity to show that things can be planned for properly and carried out efficiently on the day. The thread on the Torquay forum is full of posts praising the way that our club office have dealt with their requests. And of course, if and when we win promotion, experiences like Saturday's will help us to deal with the challenges which the National League will throw up. comrade powell wrote: I'm not aware of anyone at the club not looking forward to Saturday. Oh I'm sure of that - obviously we strive for these days. It must be nearly four years since we played in front of under 300 for a few midweek home games. The matchday experience nowadays, plus the marketing etc, have been fantastic. I see those posters with the slogan in really prominent places, I passed three whilst I was on a run last week. And if everyone coming along is just interested in the football, and what our club has to over, it'll be a brilliant, albeit hectic, day. I just don't want it to be remembered for things away from that. It only takes a few people to draw attention to themselves rather than the football or how our club have coped with this game. I was in the office for about half an hour last week before Slough and the phone didn't stop. I know Woking attracted a bigger crowd, but this build-up reminds me a lot of the Forest Green game. Woking I was too nervous to enjoy it, Forest Green there was still a lot at stake but wasn't season deciding. Hopefully this time I won't be effectively shoved out of the press box to make room. I was surprised that the ground capacity is so low - no doubt for safety reasons because I am sure that physically it can hold more than that. While it would be a nice problem to have, hopefully we won’t have to turn people away. Taking the 1450 Torquay fans out leaves us just over 2100. Assuming there were 1500 to 1600 City fans/neutrals on New Years Day it isn’t inconceivable with the publicity for Saturday (not to mention any ticketless Torquay fans) that we could attract another 500. Indeed, hope us travelling exiles can get in ! LB wrote: I was surprised that the ground capacity is so low - no doubt for safety reasons because I am sure that physically it can hold more than that. This was what I was thinking as well - if the weather is decent this scenario might well come to pass. Do the turnstile operators have the means to check numbers of people entering at that point in time, and if not what happens if the much-reduced ground capacity is exceeded? Would we be looking at prosecution by the powers that be? On the other hand, turning people away would be a bit of a PR disaster. Rock and a hard place? Get there early Gerry. I'm planning on a 2pm arrival. That would need us to finish 2nd and them 3rd (or at least above them)- a nice thought but probably not going to happen. Indeed, but you never know. To draw comparisons, for me this game feels a bit like organising a wedding. There’s so much for few people to prepare and those few are praying everything goes to plan. They don’t want the day remembered for a drunken Uncle spilling wine on the bride’s dress and so on. Deep down you are sure it’ll be a success but back of your mind you’re dreading an unmitigated disaster. I don’t often look at other teams forums but really pleased that our club have received stacks of praise. It seems they do realise we are reliant on a small number of staff and volunteers. Obviously this sort of crowd at Plainmoor is easy to handle but, whisper it, Torquay are a much bigger club than us. A limit of 3,500 does seem ridiculous (remember the 18,000 v Brighton in 1960, when we didn't even have a Bristol end terrace!). Rules have changed since Rovers were here. The popular side could easily hold 3,000 but we only have one barrier, and you need a barrier for every 5 or 6 steps. The barriers on the near side of the Bristol end were strengthened recently (not publicised) allowing a decent number there, but the far side has weak barriers, or no barriers. You couldn't have more than about 300 at the Bath end. The brilliant turnstile operators will do their usual excellent job. Good to see good comments about the planning for the match. I think it is unlikely we will hit 3500 but you never know. Should we have to close the turnstiles there could be later arriving season ticket holders still in the queues. Would these people be prevented from entering the ground? 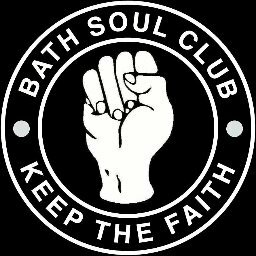 I am aware of the sensible advice for supporters to arrive early but with the likely congestion in the Twerton area, particularly with the high number of away fans, this may not be possible. I can see the K.O. being delayed. I hope people arrive early but you will always get late comers. Torquay are favourites to win this match, their fans are saying 2-0 to them. They are stronger 2nd half and get most of their goals then. That is no surprise as they are a full time club. I think City need to get any goals early on! If we win the toss what end will we play considering all their fans will be at the Bristol end - interesting! Too much fretting on here. We'll comfortably accommodate. "Guess the Gate" compo will be fun; I want to reserve 3456, 3210. City attendance counters could easily "break down" at either of those numbers to ensure the licencing rules are adhered to. Torquay fans forum* has 15 pages - https://www.torquayfans.com/viewtopic.php?f=3&t=10334&start=210 - of discussion on this game; all their ticket allocation is sold so 1500 minimum expected and c.2,000 wouldn't surprise me. Torquay supporters are trying to find more tickets so expect many will enter at the Bath end. It would be a public relations disaster if everyone who wants to attend isn't admitted and anyone who has special needs accommodated appropriately. *This esteemed Forum needs a comprehensive set of emoticons like Torquay have. Peter Newman wrote: I think it is unlikely we will hit 3500 but you never know. Should we have to close the turnstiles there could be later arriving season ticket holders still in the queues. Would these people be prevented from entering the ground? There will be at least 2 turnstiles for season ticket holders and pre-purchased tickets. The advice from the club is for everyone to arrive earlier than usual (better to be soaking up the atmosphere inside for 20 minutes than being in a long queue). And to assist please can season ticket holders have the appropriate voucher (no. 14) out of their book and ready to hand to the turnstile operator when they get to the front of the queue. [quote="LB"]I was surprised that the ground capacity is so low - no doubt for safety reasons because I am sure that physically it can hold more than that. Can anyone advise on actually why (and when) the capacity changed to this figure? Is it solely off the back of a recommendation from the local council or due to insurance issues etc.? It would be quite interesting to know. The record we've played in front of in this level is the 3104 at Dulwich the other week, I mistakenly thought it was AFC Wimbledon but that was in NL Premier. So we're probably looking around the mark of that Yeovil one, which was the last time Gary Johnson managed at Twerton Park in a competitive match. Freeview Joe wrote: Can anyone advise on actually why (and when) the capacity changed to this figure? Is it solely off the back of a recommendation from the local council or due to insurance issues etc.? It would be quite interesting to know. Joe, I don't think the capacity of the ground has been as high as 8000 for many years. I seem to remember a few seasons ago that there was an announcement from the club prior to a cup match (the Dagenham replay?) on what the capacity limit would be that day and it was nowhere near that total. In fact due to the efforts of our safety officer, Shane Morgan, and the volunteers who help each week on the ground's maintenance, the capacity has actually been slightly increased for this season. It is our council who sets the capacity. It is not a recommendation, it is legally binding and has nothing to do with insurance issues. To find a league attendance at Twerton over 3000 you have to go back to Easter Monday 1978 when 3328 watched City play Weymouth on their way to winning the title. As far as I can tell there have only been three others of 3000+ in the last 50 or so years: 3467 against Trowbridge on Boxing Day 1967 then 3082 against Salisbury and 3253 again against Trowbridge towards the end of the following season as City won promotion. I think there were 7000+ at TP when we played Plymouth in the cup 1977. Or maybe it was a previous match against them.